How To Cut Vinyl On a Cricut and Make Decals | Cut, Cut, Craft! If you don’t know how to use a Cricut to cut vinyl decals, you’re in the right place! I’ve collected the most common questions and issues and put together this tutorial to explain exactly how to cut vinyl on a Cricut machine. I’ve also discovered a great source for getting free vinyl samples which I’ve added at the end of the article. 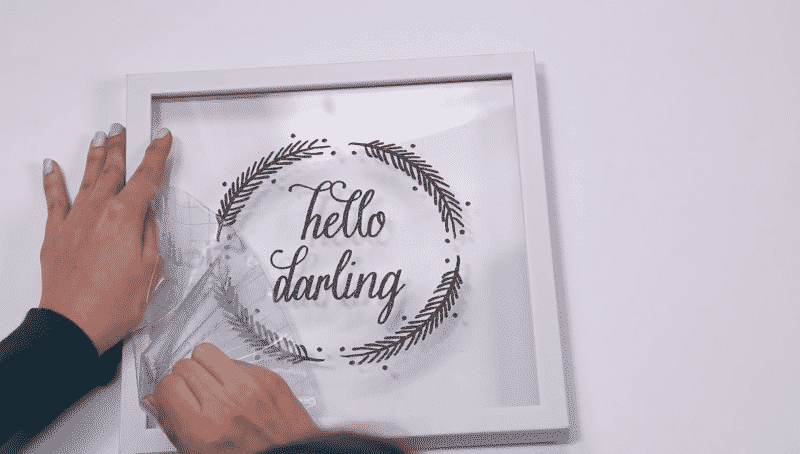 Cutting paper is one of the many uses of a Cricut machine but we’ve all seen absolutely gorgeous projects using vinyl and wonder: how can I do this? Is there a special type of vinyl? How do you apply it? This tutorial will teach you how to create your own vinyl decals, stickers, wall graphics and window decals. Vinyl can be applied to any smooth surface (ceramic, a wall, glass) with just transfer paper. For rough surfaces, you’ll need stronger adhesive-backed vinyl. Don’t worry, I’ll cover the differences below as well as when to use a cutting mat and when you’ll want to avoid it. 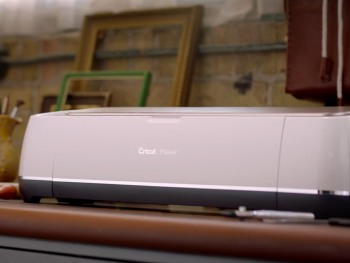 For this tutorial, we’ll assume you’re using a Cricut Explore Air 2 and Design Space, but other machines and software will follow the same general principles. When should I use a cutting mat to cut vinyl? When shouldn’t I use a cutting mat to cut vinyl? Why do you use transfer tape? I’m looking to buy a sticker cutting machine, which Cricut would you recommend? Why are my cuts crooked? Can you tell me how to make reusable stencils with Cricut? What about those free samples? A Cricut (or similar Silhouette) machine. I use the Cricut Explore Air 2 (this is the current best deal). If you haven’t inspected your vinyl yet, take a close look. Have your design ready to go. If you need a hand loading a design into Cricut Design Space, head over to their YouTube page where they have a great class posted. 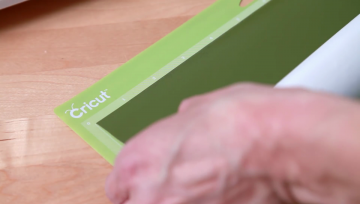 Place your vinyl on your cutting mat with the paper liner side towards the mat. 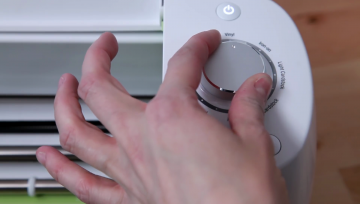 Load the mat into your machine and turn the smart set dial to Vinyl. Your machine will be set to cut the vinyl but not the paper backing. Press go (the C icon underneath your dial). Remove your vinyl from the mat once your cut is complete. Remove the leftover vinyl film from your image. This is known as weeding, we’re simply peeling off all of the parts of the image that we aren’t using. You can use either a pair of tweezers or a Silhouette/Cricut hook tool to make this simple. Completely clean and dry the smooth surface area where your vinyl will be placed. Mark the placement of your design. You can use a level if applying it to a wall. 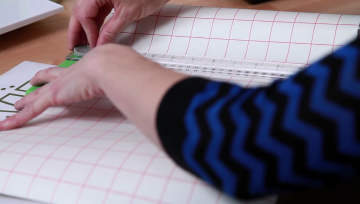 Cut a piece of transfer tape the size of your image. Use the alignment grid to to lay the tape over your image. If there are any air bubbles, smooth them out. Now, peel the liner from your vinyl image. The vinyl will be held in place by the transfer tape. 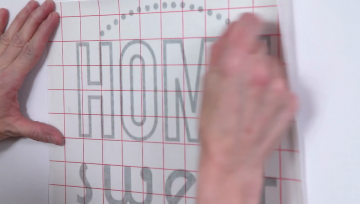 Now place the transfer tape and image on the wall/item, line up the grid for careful placement. Working from the center to the edges, press down firmly on the image until it is completely smooth. Starting from a corner, slowly peel the transfer tape from the surface. That’s it! The first time is always the most difficult, I usually need to have a tutorial open the first few times I try anything new and then a week later I’m flying solo. I’m hoping to speed up that process for you a little bit by going over the most common mistakes and tips in the next section. After that, I’ll cover different types of vinyl, which ones to avoid, and the best vinyl for each application. When removing the transfer tape, make sure to pull from the image at a 45-degree angle. Do not pull the tape quickly, instead use a slow, gentle rocking motion. If the tape doesn’t want to release the vinyl, simply reapply the tape to the surface and press down firmly once more. 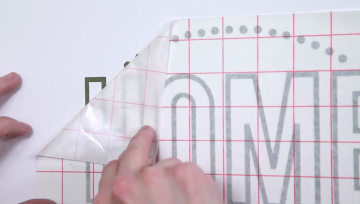 The thinner your design, the slower you should remove the transfer tape. For large images, consider having a friend help out. You can use heavy adhesive-backed vinyl when applying to rough surfaces. If you’re using iron-on/heat transfer/t-shirt vinyl make sure to mirror your image in Design Space or it’ll apply reversed! This is also true if you’re applying vinyl to an interior window so that it reads correctly from the outside. 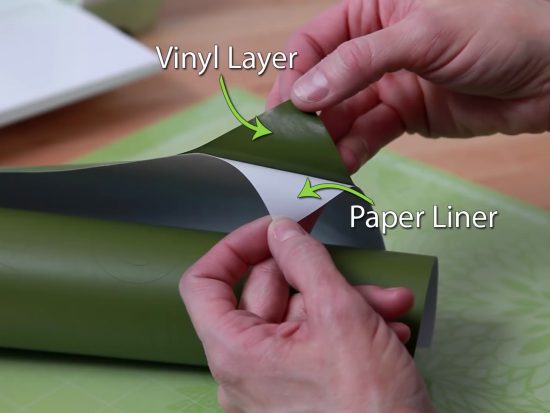 Even though you can pass the vinyl directly through your machine because of its paper liner it’s still better to use a cutting mat for more reliable results. Experiment! 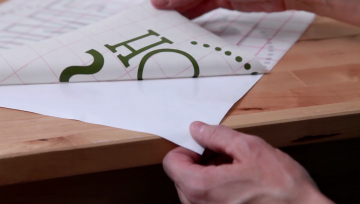 With adhesive vinyl make sure not to peel off the paper backing before placing it on your cutting mat as it will stick. For car stickers use outdoor vinyl. 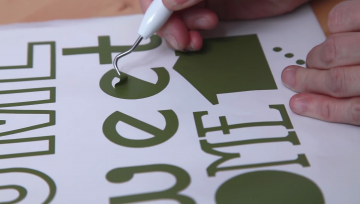 Cricut has a great video tutorial on using glitter vinyl. Christopher Alan has the very best tutorial I’ve seen on the subject, have a look! I wrote an entire post on the best vinyl for Cricut and Silhouette machines. Check it out, because I’ll only cover two of them here. Vinyl comes in three basic categories: stencil, self-adhesive, and heat transfer (also known as T-shirt vinyl). I’m going to list my favorite but please experiment with different types of vinyl. If I could only take one vinyl with me to a desert island this would be it. Oracal 631 is basically the same as Cricut vinyl but it’s a bit cheaper and easier to use. It comes off the transfer paper super easily and the common colors/styles are really pretty. If your material fits on it or if it doesn’t have paper backing. If you try to cut vinyl without a mat and without backing the cuts will just slide around inside of the machine, making an awful mess. 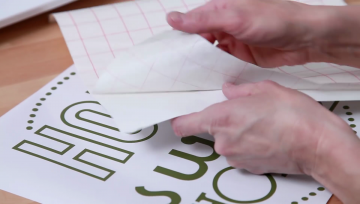 The cutting mat or paper backing both keep the material firmly in place, even after it’s cut. Pretty much the only reason I’d cut without my mat is that I want to cut something larger than my cutting mat. My Silhouette Cameo lets me cut 12 inches wide, but without a mat I can cut as long as my material is instead of being limited to 12″ by 12″. Vinyl can be very flimsy. If your design has several parts keeping it positioned exactly like you designed will prove difficult after peeling it and replacing. As your designs grow in size and complexity it becomes outright impossible: enter transfer tape. Transfer tape lets you pick up the entire design in one go and apply it as a collection. 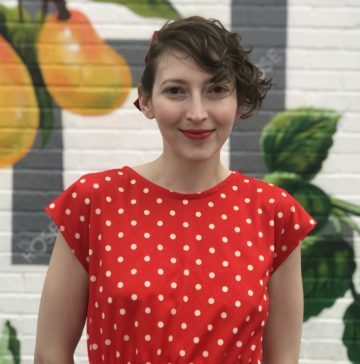 I have an entire comparison of the 6 best Cricut machines of 2018. 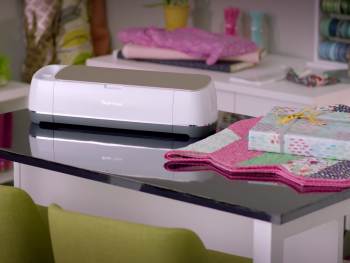 You can’t go wrong with a Cricut Explore Air 2 or Cricut Maker. Make sure your cutting mat is being loaded in straight. 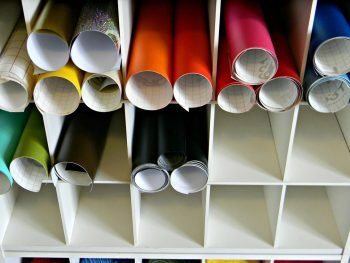 If you’re using vinyl without a mat and with paper backing, make sure to adjust your rollers so that they securely grip the edges of the material. Absolutely! 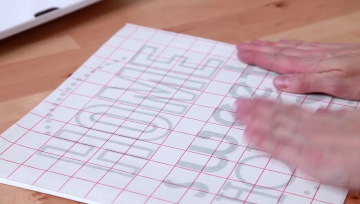 Megan Lowrey has a great tutorial on her YouTube that uses a Cricut Explore to make reusable stencils out of plastic binder dividers. If you contact Oracal they’re happy to send you free samples, up to 5 at a time. The sheets are 8×10 which is a pretty generous size and they have a variety of thicknesses, durability, and styles (reflective, metallic, gold leaf, frosted glass, etc.) to try out. 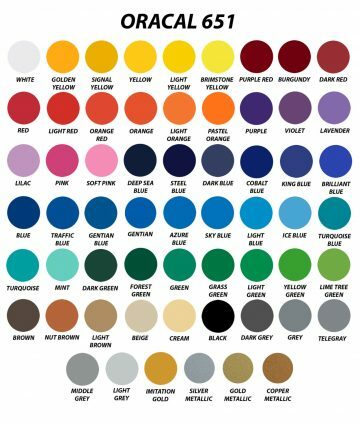 The only thing you can’t ask for is a specific color, they’ll dispatch you one at random. Just put a request in on the Oracal website and fill out their Contact Us form, specifying exactly which samples you’re looking for. If you like the material, make sure to place an order! Thanks for the help. I keep wondering why my Explore Air 2 has a vinyl setting, but also selections on the knob just to the left and just to the right of the vinyl setting. Does the one to the right add more pressure, and the one to the left remove pressure? I’ve not seen any body explain what to do if the the kiss cut is too deep or too shallow. Any idea? When making a car decal or outside decal, do you use the same steps above? with the same vinyl 631 or 651? same application? I am trying to print out my images. But it tells me I need to print it . With my printer. I want to just print it out on my Cricut. What am I doing wrong?